Beautiful and Delicious Desserts brought by the Sisters! The food turned out delicious and we had a short program afterwards with a story from our R.S. President, a few of our talented youth playing Christmas songs on the Violin, a group of sisters singing, and then a few carols. Usually with large dinners and activities I am at the church late cleaning. Last night I was determined to go quickly. So many assisted with the clean up of the gymnasium, and many others helped out in the kitchen. I was so grateful to all of them! Amazingly as we were winding down the cleaning, I was actually starting to get ready to load things in my car, our Relief Society came into the kitchen and in a shocked tone asked if any of us knew what time it was. I replied it might be 10 (I was pretty tired at that point). She replied that it was 8:10. I was floored. The dinner had started at 6 and we were almost done cleaning already?! At 8:32 I pulled away from the building. Our Bishop, the last person out the door, walking to the car with his wife. I never even left Mutual (Young Women) that early, let alone a Relief Society Activity! For the tables I brought my Red Pottery Barn Chargers that I got for $1 each and put my new little tree decorations in the middle. 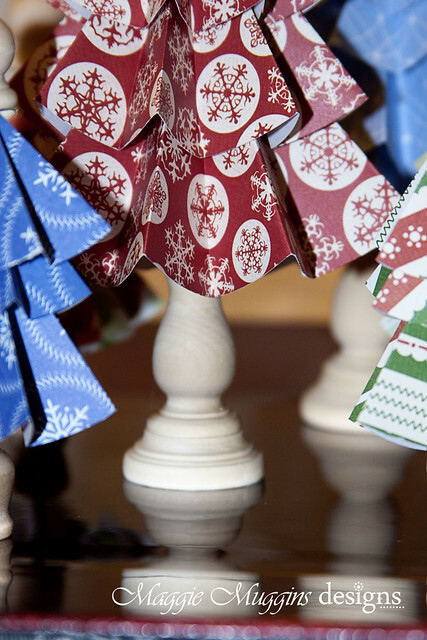 I learned how to make these from Landee See, Landee Do - who has a Festival of Trees going on. I went a little crazy and made 24 of these trees. I decided to use them for gifts for people I know though, so I didn't feel so bad about putting more time into them. Instead of Skewers I used 1/8" sticks from Joann's and on the smaller trees I used mini candle stick cups upside down. The sticks stuck into them perfectly! The larger trees had regular candle stick holders. The tops had little finials from Joanns. 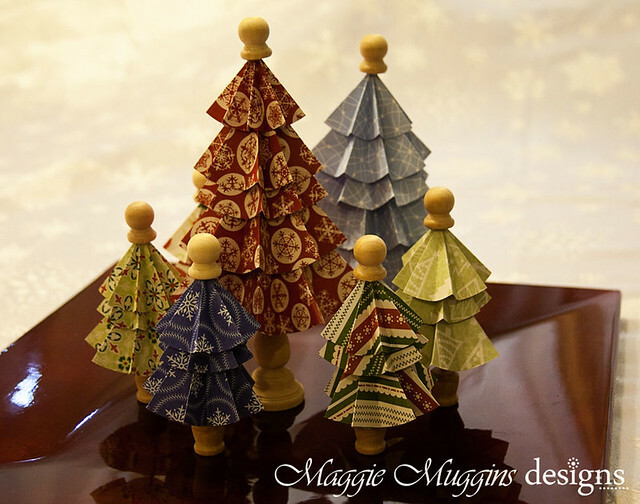 If you want to make these trees, you can follow the tutorial HERE. But, as a special gift to my readers and fellow Silhouette Lovers I whipped up the Silhouette files for you. There are two files (Large and Small). The larger file makes 1 tree, the smaller makes 3. Both are 12x12 size, but you can always adjust that to cut on 8.5x11" pages as well. I used 6" long sticks for the Large trees and 3.5" sticks for the Small ones. I trimmed the 6" ones afterwards though, so the bottom actually went up inside the tree and didn't look as tall. Download the Silhouette cut files HERE and HERE. As with all my free shared files, these are for Personal Use Only. No sharing, no emailing the file, no selling it, etc. Please direct your friends here to download the file. 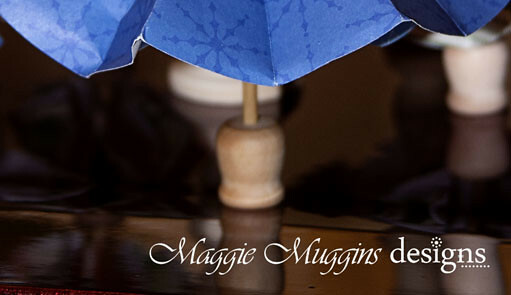 Please share photos of your projects made from these files in my Flickr Pool: Maggie Muggins Designs In Action. 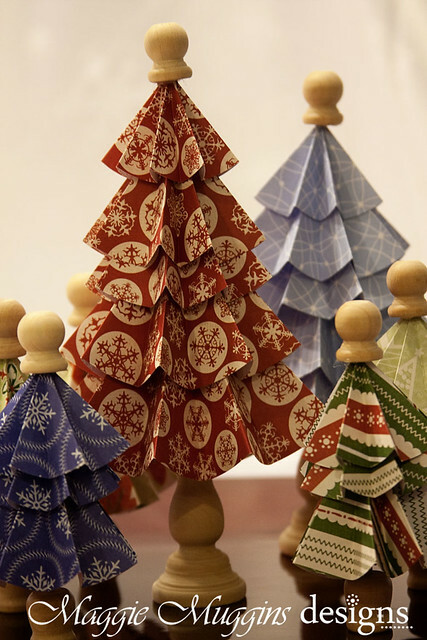 There are all sorts of fun trees out there to make for Christmas Decorations. 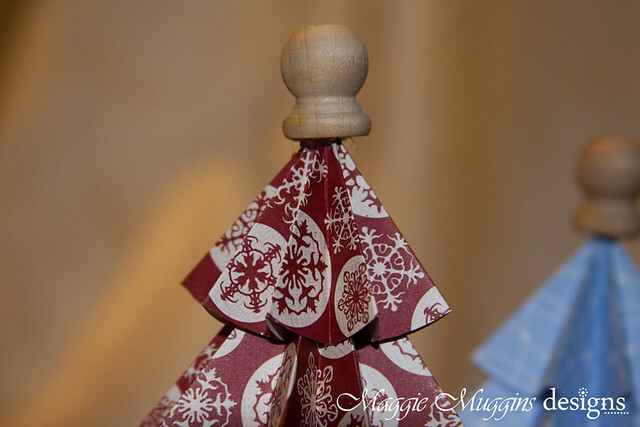 Before you buy Cones for trees from a craft or department store check your Dollar store. Mine had large ones for $1 each. They were something like $4 each at Joann's! 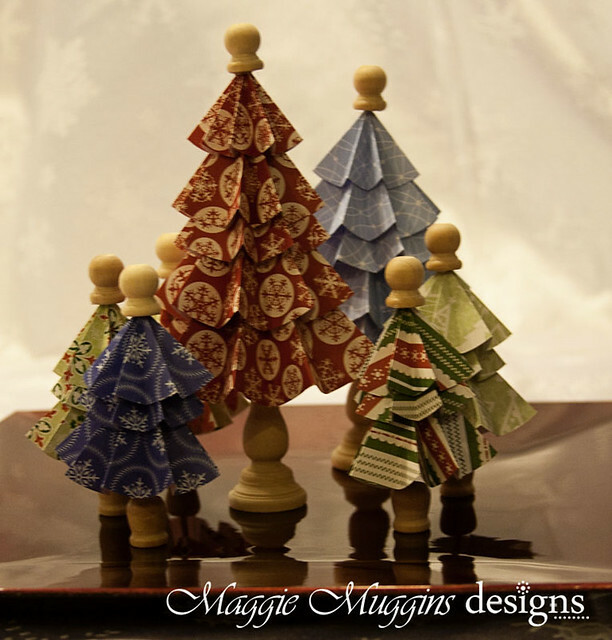 Check out these Cupcake Wrapper Trees you can make with forms HERE. So cute! Some in all white or green with sparkly mini garlands would be too cute! Thank you so much. These are beautiful. I hope mine come out half as beautiful as yours. Thanks so much for sharing! Love your tree decorations. Can't wait to download and try them out. Thanks so much for sharing.